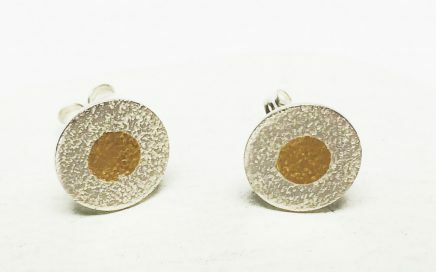 Recycled Silver Studs with 24ct ethical gold for decoration, approx 11mm diameter. 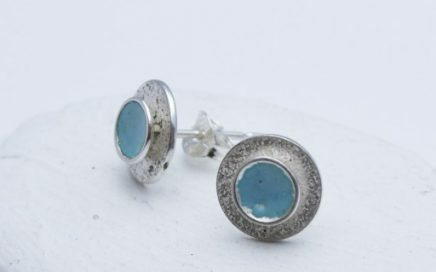 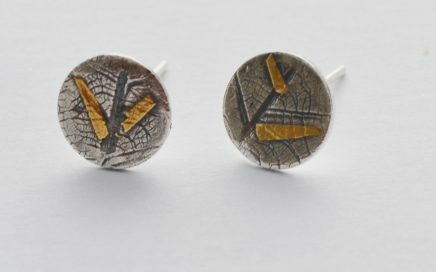 Recycled Silver Studs oxidised with 24ct ethical gold for decoration, approx 11mm diameter. 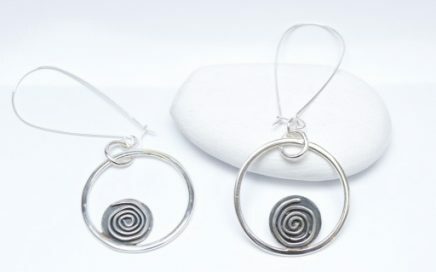 34mm recycled silver hoop drop earrings with a small disc inside combined with an oxidised, textured swirl for decoration. 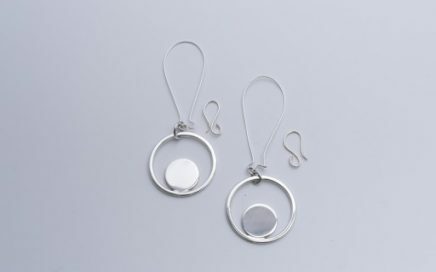 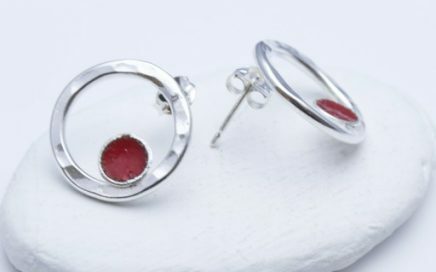 34mm recycled silver hoop drop earrings with a small solid silver disc. 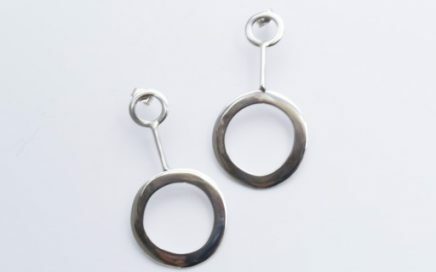 34mm recycled silver double hoop studded earrings. 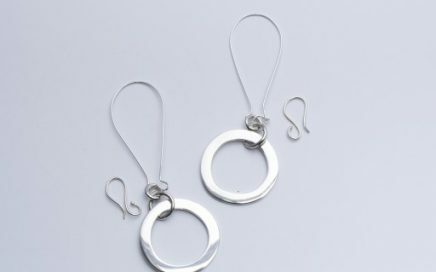 Approximately 34mm recycled silver chunky hoop drop earrings.